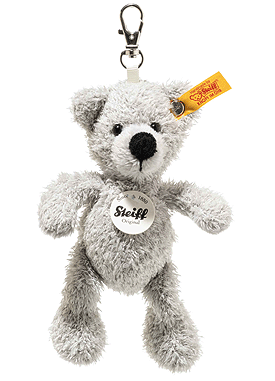 Steiff Fynn Teddy Bear Keyring is made by hand, in the finest grey cuddly soft plush. 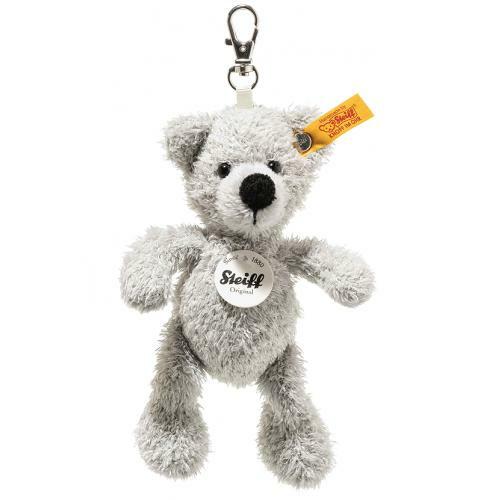 Keyring Fynn Teddy bear is 12 cm tall and made from soft and cuddly grey plush fabric. A large black nose adorns his cute face. The line below his nose and his mouth are embroidered in black. The paws and soles are made of light grey material, ensuring a subtle visual contrast. The area around the mouth also features a light grey colour. This adorable little guy will make it easier to find your keys every time.